Alexey I. Fedorov, the president of the Irkutsk Aviation Industrial Association is better known as the Sukhoi chief. Fedorov is the man who will deliver to India the most advanced combat aircraft next month. Russian Defence Minister Sergei Ivanov, during George Fernandes’ recent visit to Moscow, talked of developing the fifth generation fighter. But Fedorov, who calls the Sukhoi 30 MKI the closest thing to it, is no hurry to develop a fifth generation aircraft yet. Fedorov tells SONIA TRIKHA that this is the best plane, and that he wants to make this one last. When does the first batch of the Sukhoi 30 MKI arrive in India? The Sukhoi 30 MKI is not in operation yet. We are just finishing the development with the Indian team in Russia. But we should be able to supply 10 Su 30 MKI by May-June. You are negotiating with China for the Sukhoi 30 aircraft. Will it have the same standard of preparation as the SU 30 MKI that is being supplied to India? The plane for China is a different aircraft from a different company from the far east in Russia. It has different capabilities. The one for India is a much more advanced version. It is a new aircraft with a new radar and new engine. The plane for China is very much like the Sukhoi 30 that is already existing in India. 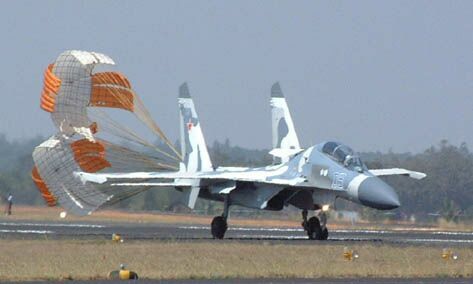 The aircraft for India is the most advanced Russian aircraft, that is the SU 30 MKI. We are not negotiating the same for China. There has been a great deal of talk about the fifth generation fighter. What are your plans for that? It is just an idea right now. We are still discussing what will be the technology. What kind of an aircraft is needed by different air forces in the world? Which speed will it fly and what armament it will carry? What material to use for making it? It’ll certainly be a multi-role aircraft but we are still at a very preliminary stage of discussion. We have to remember that it is not a plane just for India and Russia. It will be available for any country that has those aviation needs. We still don’t know what the size will be. No one knows whether it is a one engine or two engine plane. We do not have an idea of a time-frame either. For our needs — India and Russia — it will probably be ready for 2015-2020. Because the Sukhoi 30 MKI is very good. Besides, it can be upgraded in airborne equipment and armaments for future use. For the Indian Air Force this aircraft is good for the next 20-30 years. You are saying the Su-30 MKI already comes close to the fifth generation aircraft? It comes close to the fifth generation aircraft, certainly. This one must have a long life. We will upgrade it several times. We can upgrade it to the fifth generation standard. I think the need is to talk about the next generation of combat aircraft that can be this one. There’s been an acceleration in joint collaboration between India and Russia in recent times. Given the level of military cooperation between the two shouldn’t it have happened earlier? Russia has always been ready. This cooperation did not happen earlier because India was not yet ready. They did not have the experience and the level of industry and science was not high enough. Now, it is fine to join the world. The Indian air space industry is really good for joint development. There is criticism that Russian military technology is inferior to western technology and so countries like India and others who have been traditional buyers should make a switch. I see these reports as a type of competition. They are not right. If you want to know about Russian military technology ask your air force.  They have been flying the Sukhoi 30 for five years, ask them, they have experience. Civil aviation is different. There, the leaders are Americans and Europeans, companies like Boeing and Airbus Industrie. In military technology we are more advanced. But if Russia has to integrate into the world economy then we can’t be the best in all things. It is difficult to produce all products in the same country, we have to buy some technology. For instance, the Americans are better at engines and avionics. In some Russian aircraft we use western engines and avionics. To grow in quality we have to buy western engines. Integration is about buying some things and selling some things. To have fusion. So I’d say western technology is better for civil aviation but for military aviation we have the same level of technology. ....The IAF has already inducted 18 SU-30 planes, an earlier version of the multi-role long-range fighter, but the induction of the SU-30 MKI will give the IAF a generational leap in air power. ``SU-30MKI is practically a new aircraft,'' the IAPO General-Director, Alexei Fyodorov, told The Hindu. ''It has almost the same manoeuvrability as an aerobatics plane and a greatly enhanced firepower.